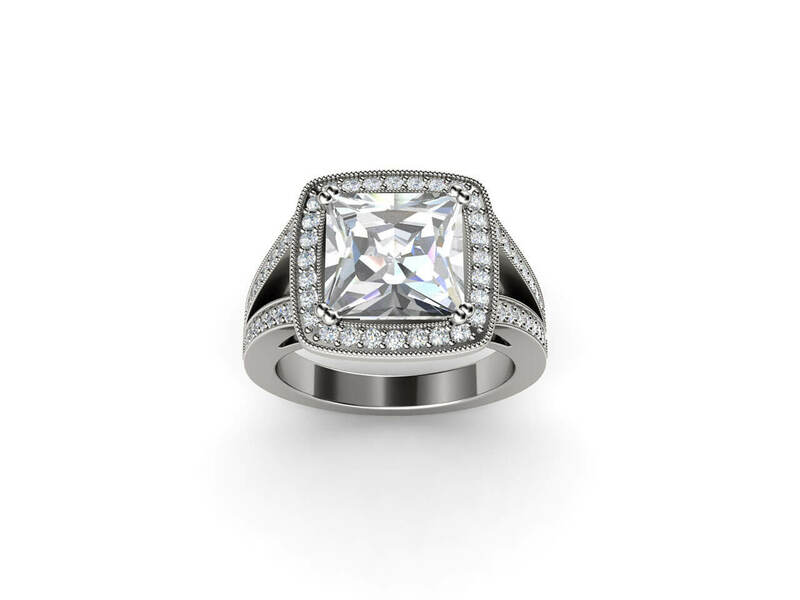 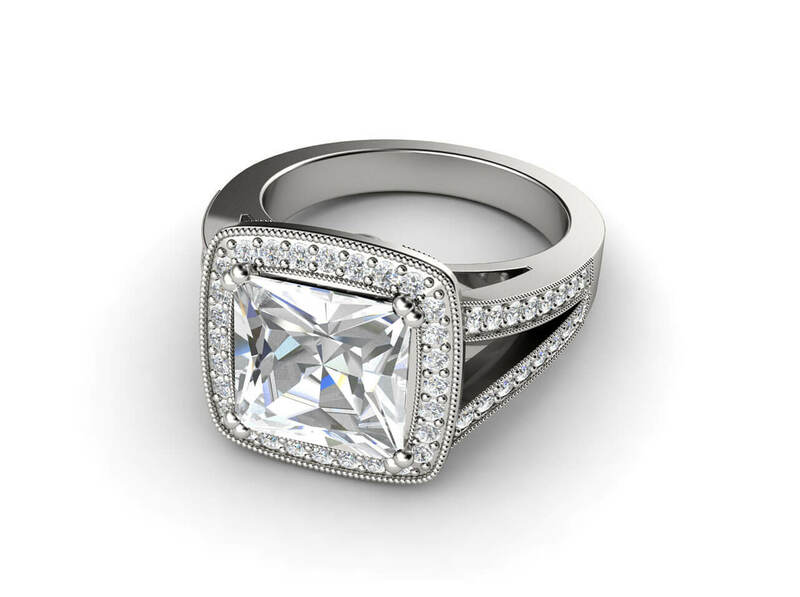 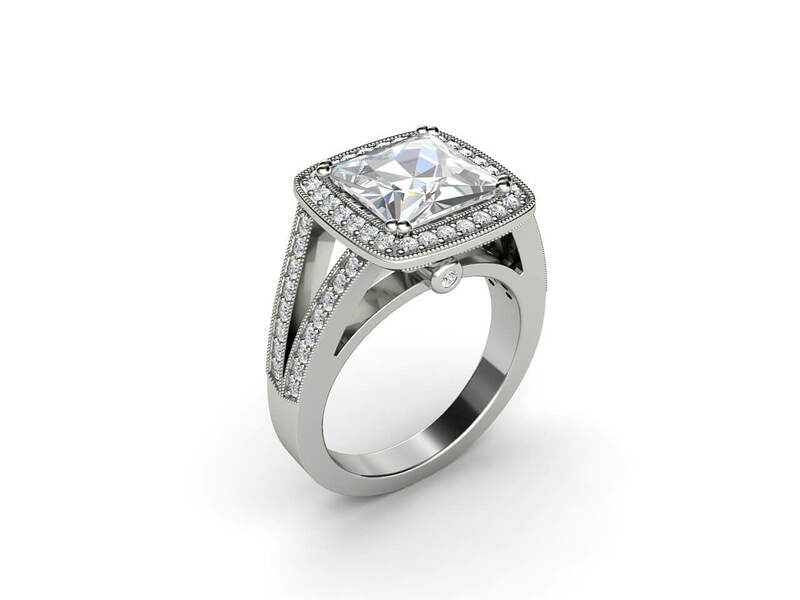 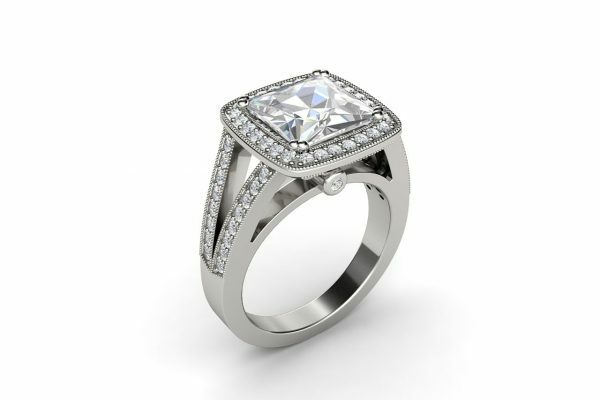 A spectacular princess cut diamond halo ring. 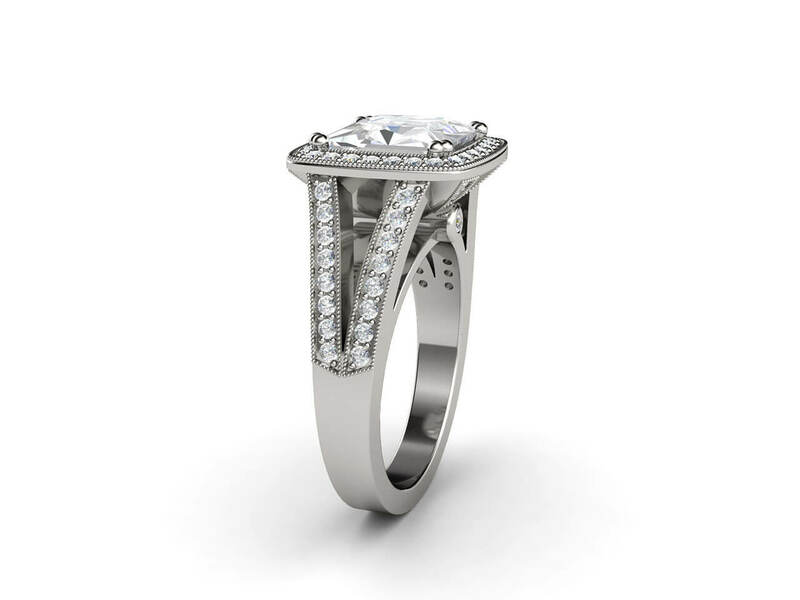 The princess cut white diamond sits amongst a halo of smaller diamonds with spectacular beading. 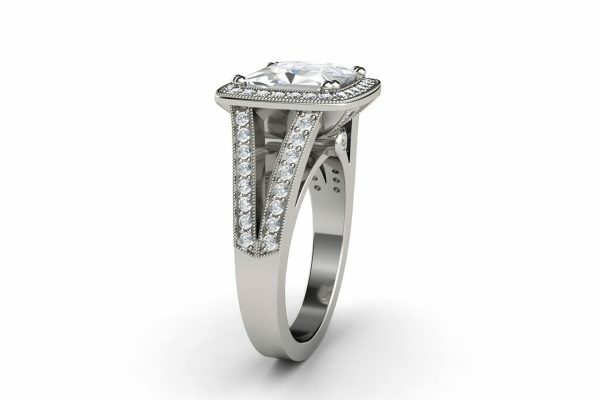 The band splits into two to hold more diamonds. 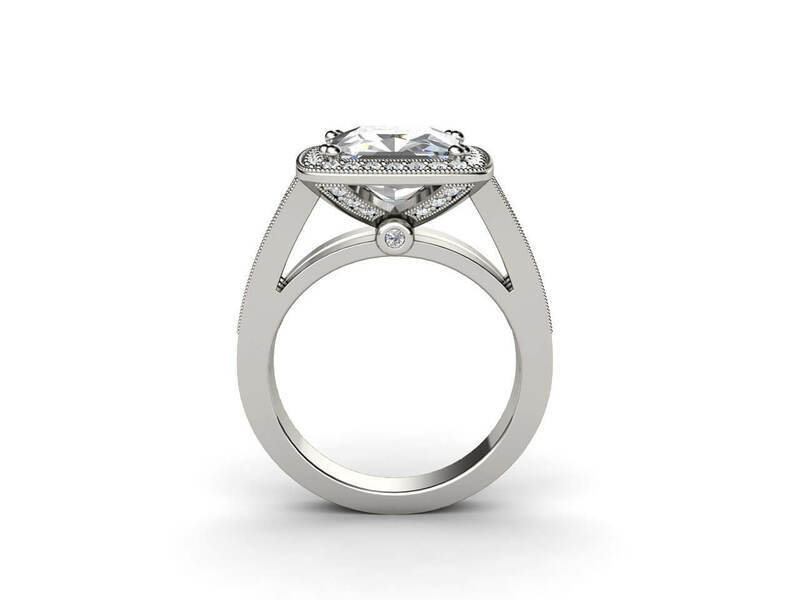 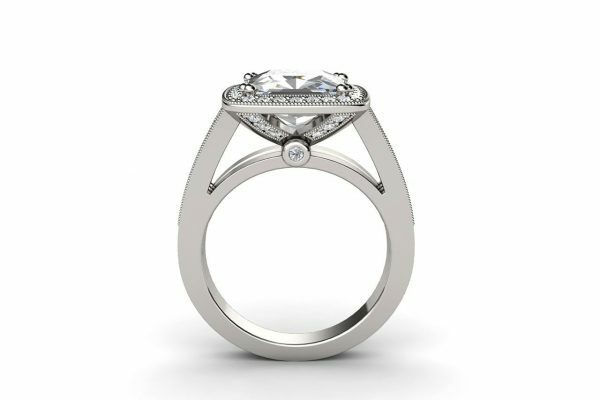 The detailing on the top and sides make this ring unique at every angle.